Are you a fan of Hunger Games? We have a new attraction that will bring that special WOW! factor to your next event. 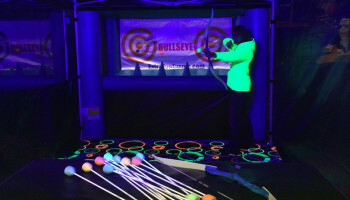 The first of its kind in Northern California and the San Jose, San Francisco, Monterey Bay, Bullseye Safe Archery is a fun interactive game that requires a lot of skill. 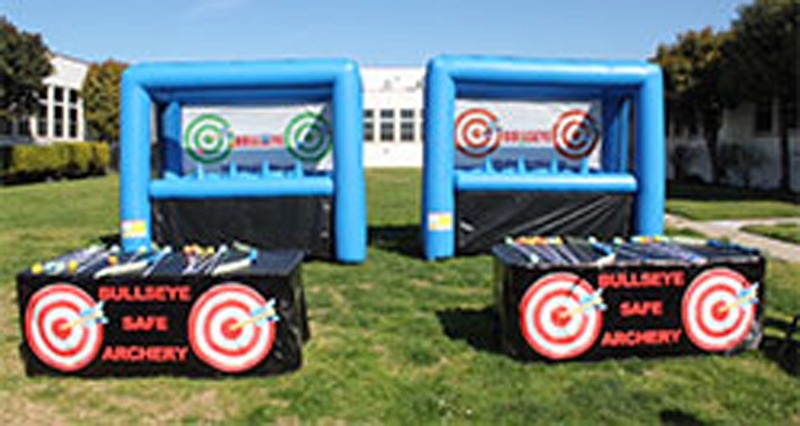 The object is to shoot with your bow the floating balls that are suspended by air from our unique inflatable. We provide a operator to coach those that haven’t shot a bow and arrow before. We have had a huge response on our Bullseye Safe Archery – it’s a real crowd pleaser! 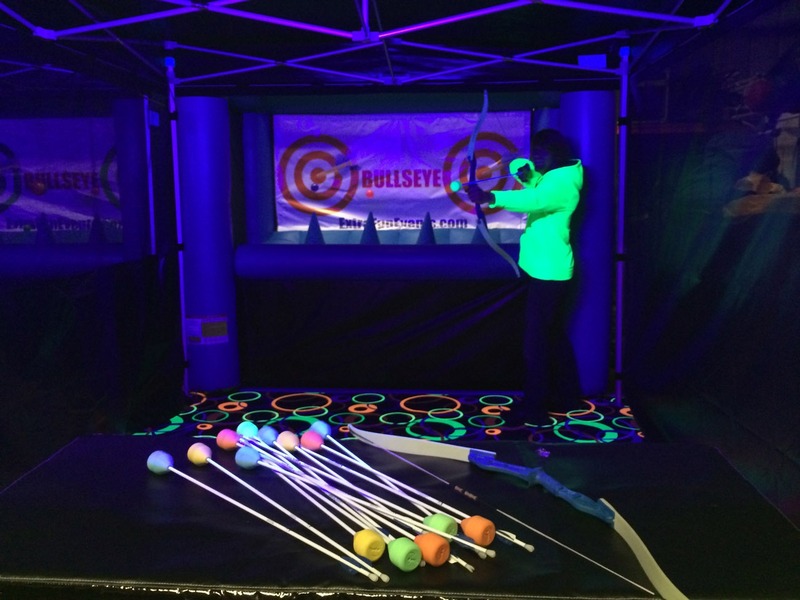 Bullseye Safe Archery is a great game to rent if you’re having an Olympic theme party, western theme party, Hunger Games party or carnival. 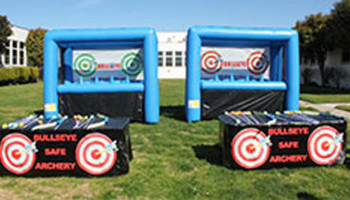 It can be set up as a two-player or a four-player interactive game. It’s available for a outdoor or indoor setup and we are fully insured. We provide a custom tent to protect you from the sun and/or to keep any stray arrows contained. We also have a really cool unique black light effect that we can install inside the tent to create a dramatic atmosphere and add to that WOW! factor. Price: Please call us for a custom quote at 888-630-3866.